This fascinating destination of the Americas had been cultivated by thriving agrarian cultures for 3,000 years before Europe's arrival in the New World. The modern existence of more than eight ancient cultures can still be found today and a triumphant preservation movement of these indigenous people is underway. Central America offers mesmerizing insight into the beauty of life and tradition that has sustained centuries of repression, shifting political alliances and some of nature's mightiest forces. Bordered by the Caribbean Sea and the North Pacific Ocean, the Central American isthmus is a narrow tropical and volcanic landmass that connects Mexican North America to the northwestern lowlands of South America. Early in the 19th century, this region was known as The United States of Central America but today is comprised of the seven independent nations of Belize, Guatemala, Honduras, El Salvador, Nicaragua, Costa Rica and Panama. The most spectacular Mayan ruins can be found in Guatemala at Tikal, a ceremonial center of pyramids, plazas and museums tucked beneath a thick and enchanting rainforest canopy. Belize provides the traveler with a slower pace along its white sand Caribbean coastline dotted with world class reefs for the passionate scuba diver. 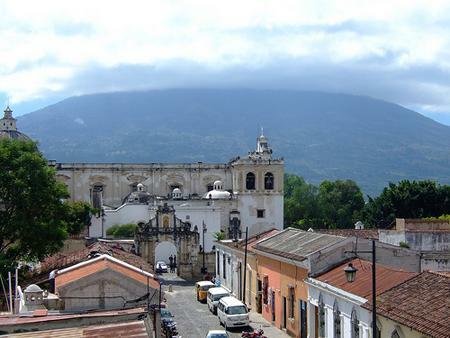 The entire landmass is a geographic wonder of active volcanic chains, which also provides highly fertile soil for agriculture necessary to sustain the incredibly dense populations in urban centers like San Salvador. Costa Rica attracts adventure-seekers from all corners of the world to its thrilling white water rapids and mystic cloud forests, while the truly daring are drawn to Nicaragua's smoking and belching Santiago Crater, tucked between two active volcanoes in Volcán Masaya National Park. Central America is also teeming with vivacious urban life. San Jose, Costa Rica's capital city, is one of the most modern and international cities in the region, blessed with more years of peace than many Central American cities have experienced in recent decades. Bars and Nightclubs are packed every night of the week and booming commercialism, museums and gourmet restaurants seem to momentarily erase the less affluent reality in the background. To the south, Panama City is also a vibrant and expansive metropolis spawned from the commerce generated by the adjacent Panama Canal. Travel to Central America to come face to face with a collection of cultures and lifestyles more diverse and complex than you had ever imagined. Explore the diverging histories of a region bound by a common past and struggling to achieve a prosperous future. The possibilities are endless in Central America. 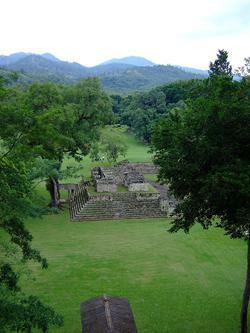 For more information on international travel and discount airfare to Central America, visit www.cfares.com, your source for cheap airfare on the web.